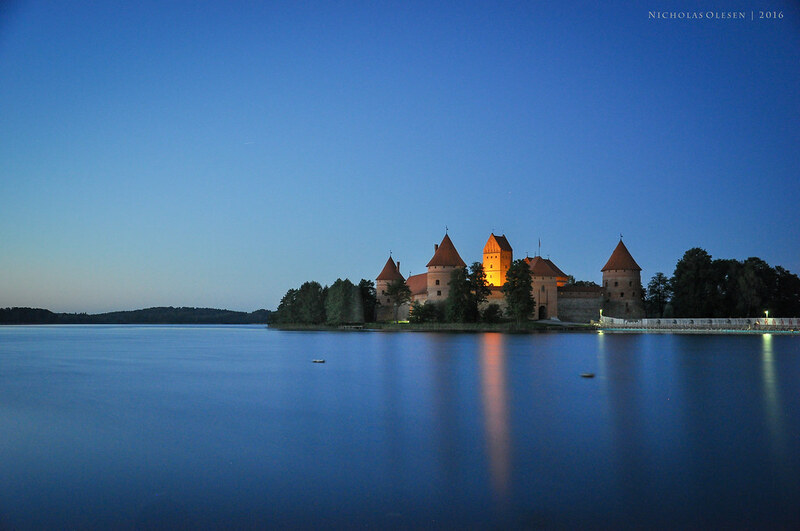 A view of Trakai castle in Lithuania, near the capital Vilnius. Shot during blue hour with a Hoya ND400 filter. 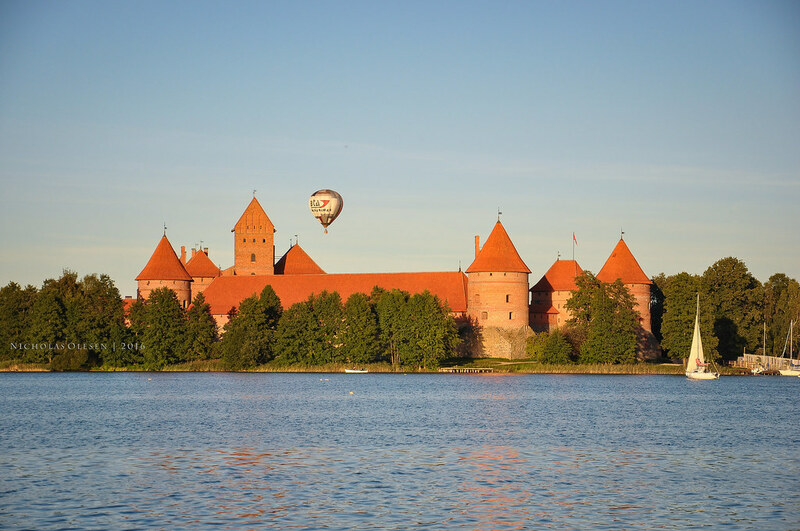 Trakai is located just over half an hour by bus from Vilnius, the capital of Lithuania. It’s main attraction is a beautiful restored castle on an island in the middle of the adjacent lake. It’s worth spending a night in Trakai – to see the sunset and sunrise and to see the town without all the day-trip tourists!